Have you ever wanted more words in the English language that express "love"? I know I have. Being a newlywed of 1 year, 4.5 months [which, btw, is a title I hope to embody for *many* years], I tell my husband that I love him quite often. Many times, however, that word is not enough to express the emotion I'm feeling. One night, as I contemplated this topic, I decided to try a new term: knit. 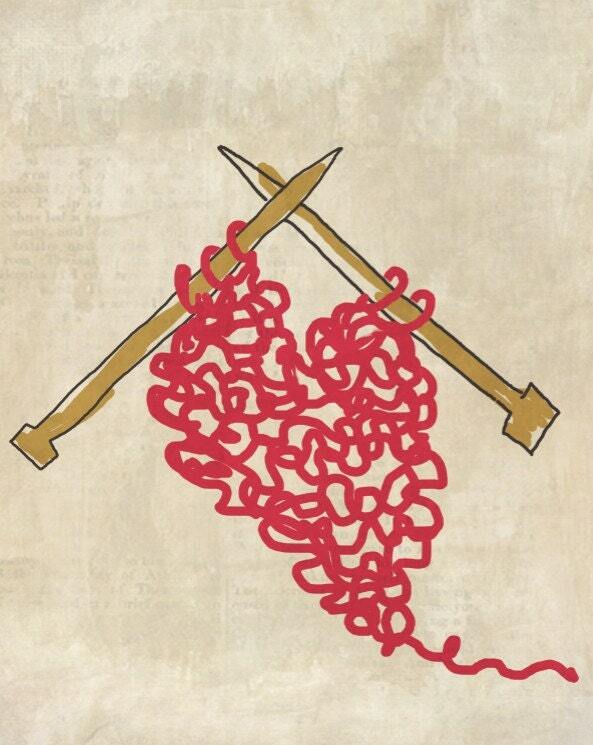 "I am knit to you." If you've ever learned how to make a scarf, you've discovered that a scarf is really just one very long piece of yarn magically woven together to make something bigger than itself. That's kind of how I feel about our marriage. When we said our vows and became "one," our lives turned into one very long [please?] timeline magically woven together. We have become something bigger than ourselves. While this thing called "marriage" may stretch us, it's more than worth the effort it takes to stay in unison. To separate would mean a total unraveling of the greater picture. I am so grateful to be "knit" to a wonderful, wonderful man! On this Valentine's Day, what words are you using to express your feelings besides "love"? What a cute phrase! I haven't come up with anything unique, but this makes me want to try! =) Happy Valentines! aww...You made me tear up a bit lol.. Going on 32 years of marriage and he still opens the car door and gives me a kiss after I get in! Newlyweds forever!